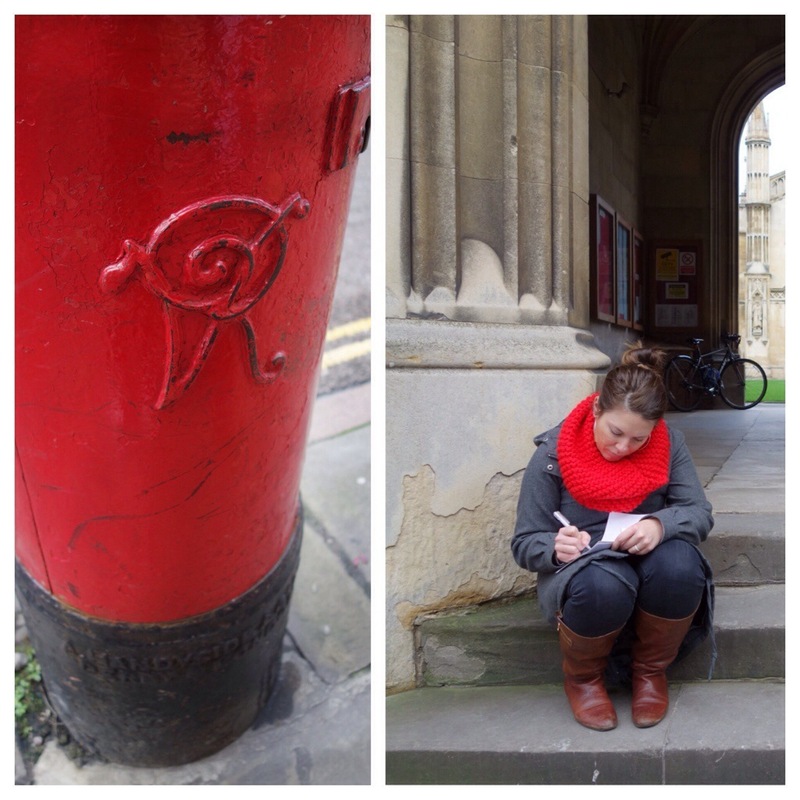 A Day in Cambridge – Where Did Mary Go? Why has it taken me this long to post about one of my most favorite places in England? I have no idea, and quite frankly, feeling a tad embarrassed about it. Without further delay, I’d like to show you this richly historic and easily adored city, just fifty miles north of London. Of course, I’m talking about Cambridge. 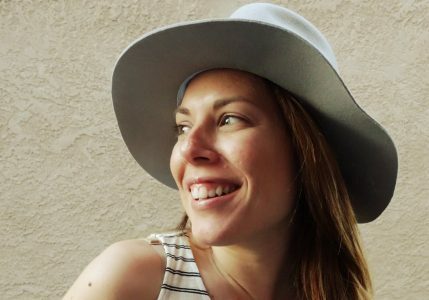 If London is the impossibly attractive sister that everyone loves and wants to be around day and night, Cambridge is the quieter, smarter, likable sister that you eventually realize might possibly be even more appealing than you originally thought. Based in Stansted Mountfitchet with Andrew’s parents during my time in England, I was little more than twenty miles away from Cambridge, so it has always been my go-to day trip destination for wandering around the shops and the old, narrow streets, gazing at the impressive architecture. Most times, Andrew & I would hit up the same places and eat the same lunch, but every once in a while, we’d split up and I would wander down some walkways I had never noticed before. 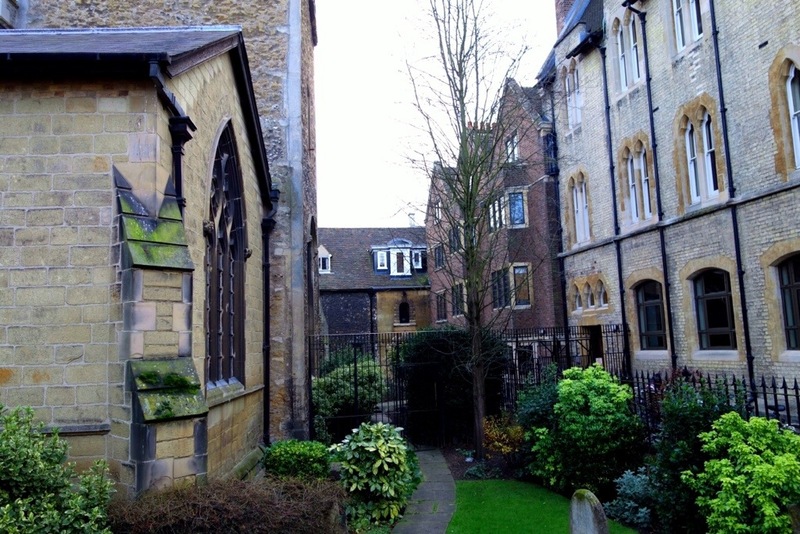 Or we’d make a plan together to avoid stores and just explore and photograph Cambridge for its simplistic beauty. 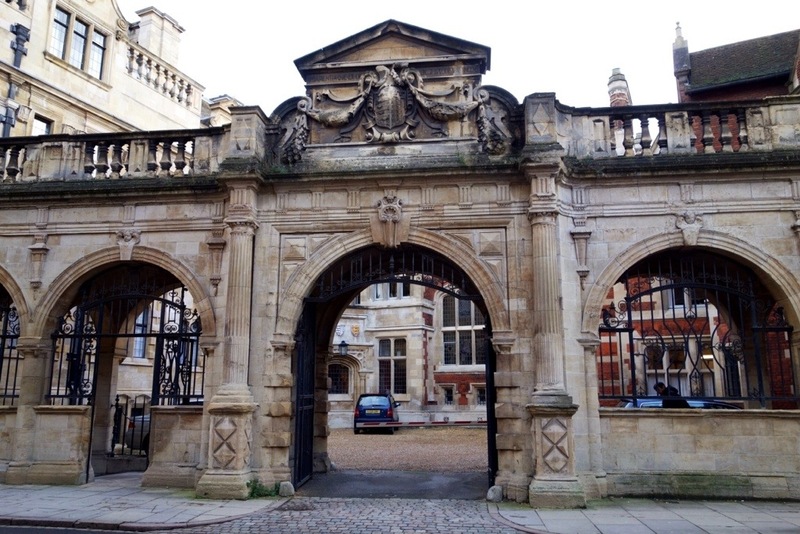 Home to what is now called the University of Cambridge and its thirty-one colleges, it is difficult not to notice students galore as you wander around Trinity Street, King’s Parade, or Trumpington Street. 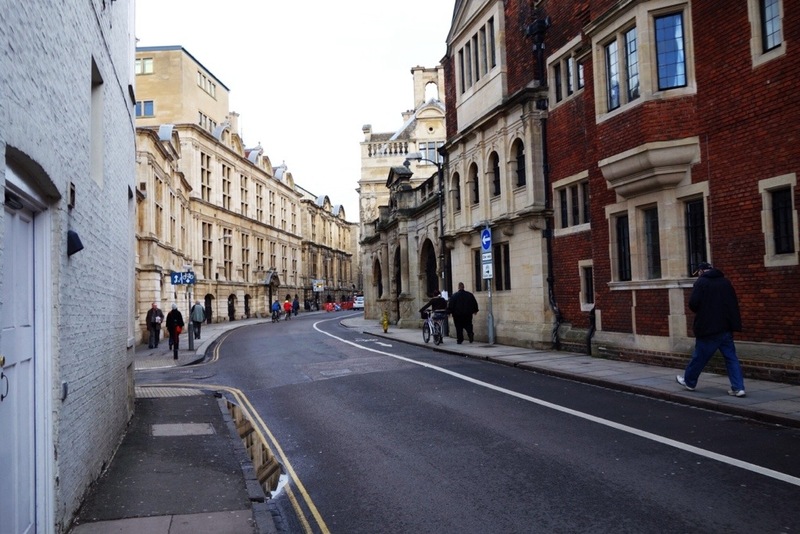 The thousands of students make up about 20% of the population of Cambridge. Until 1872, that student population was solely male. 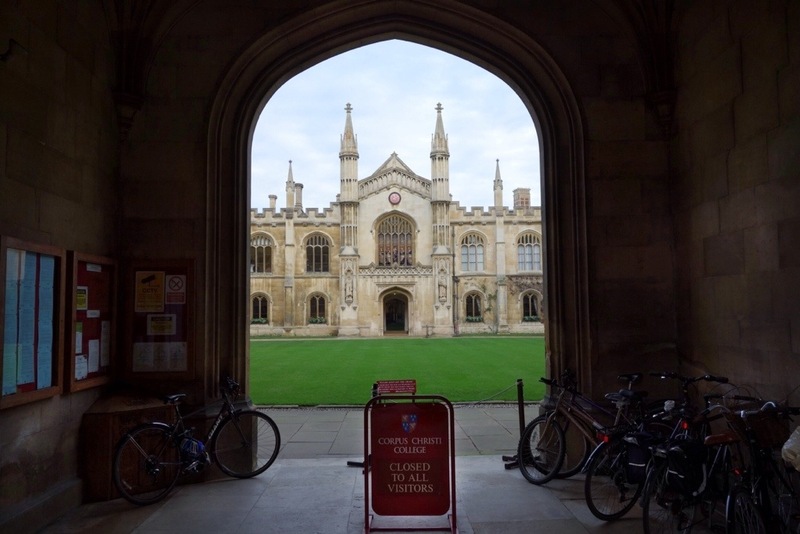 Of course there are a plethora of names like Newton, Darwin, and Hawking who are known notably as Cambridge Alumni and called this place home. One very recognizable current student is none other than Prince William, who is currently taking agriculture classes, and no, my efforts to stalk him ((research, obviously)) did not prove fruitful. Unfortunately. 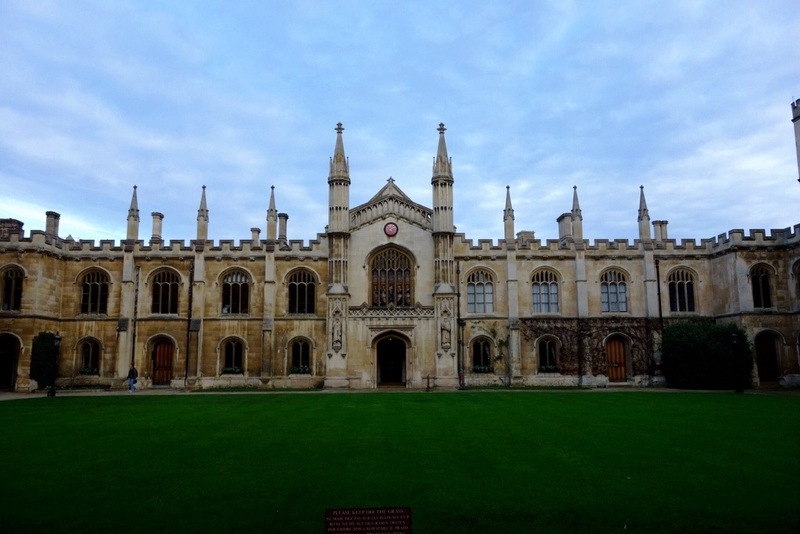 If you are spending any significant amount of time in London or the southeast of England, you must make it a point to spend a day in Cambridge. I highly recommend a weekday visit, if possible. I promise you will fall in love with Cambridge. London is the obvious destination for most Anglophiles, and with excellent reason. 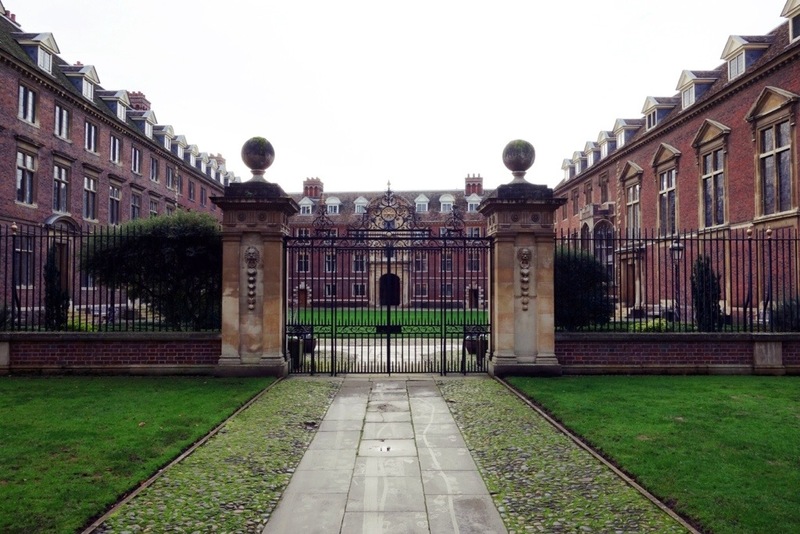 But Cambridge will truly surprise you. 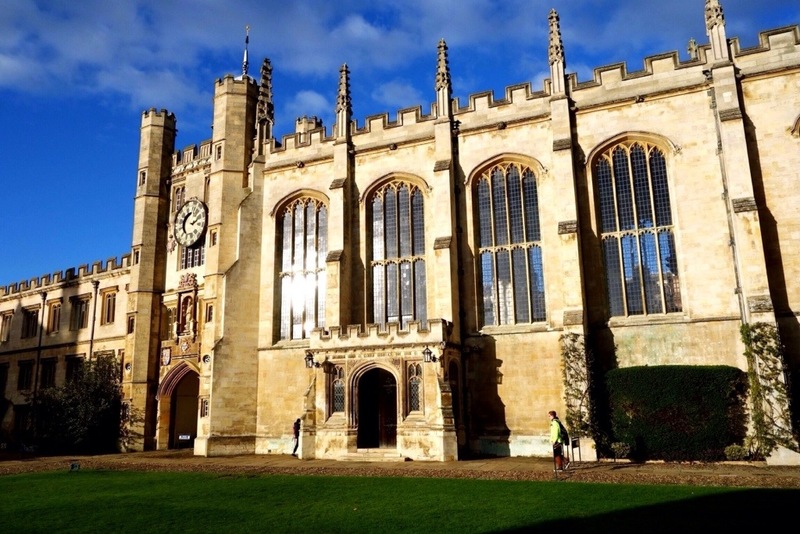 Arriving by car: if you plan to spend the full day in Cambridge, I suggest utilizing the park and ride at Trumpington for £2.60 per person ((round trip)) shuttle to and from the John Lewis store in the Grand Arcade. Arriving by train: the Cambridge train station is located on Station Road, and takes about 20 minutes to get into town on foot. 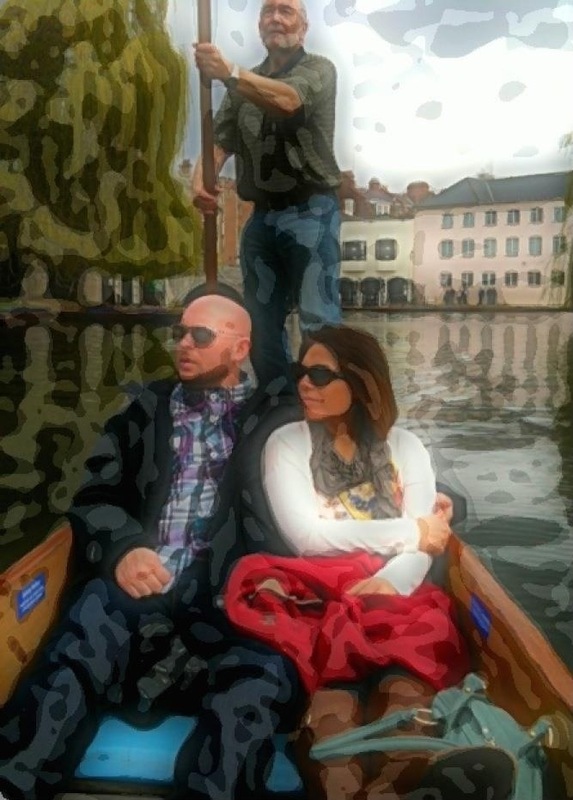 Punting on the River Cam: taking a ride down the river on a punting boat in Cambridge is itself an institution. My in-laws even had a romantic date punting down the river early in their courtship! Relax on a 45 minute chauffeured public tour of the backs of the colleges for £12.50 from Scudamore’s ((purchased online; £16.50 at the dock kiosk)), or if you are feeling ambitious, take out your own private boat ((£22 per hour)). Either way, punting is a must-do while in Cambridge. 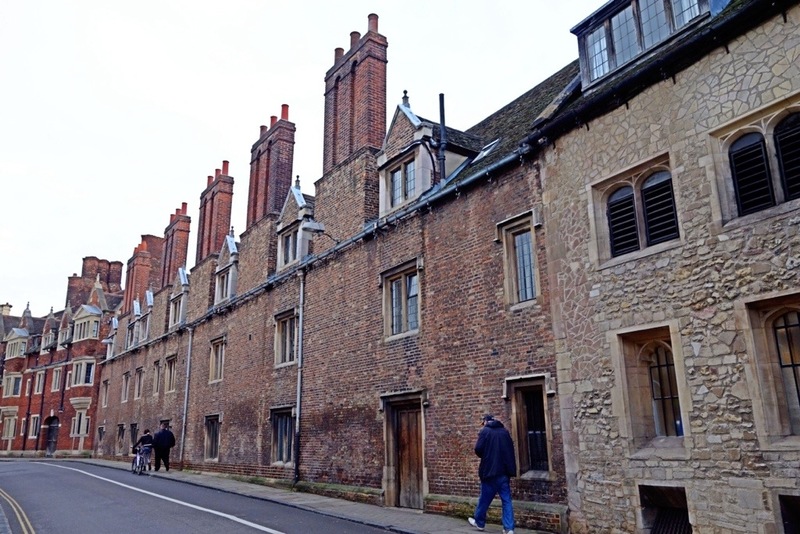 Walk until your feet hurt: wander the streets of Cambridge until you’re lost. There are so many photogenic buildings, churches, nooks & crannies to appreciate. Cross over one of the bridges and walk behind the colleges, along the river for a peaceful stroll. If you prefer an organized walking tour, there are several guided versions to choose from here. Check out a show at the Corn Exchange: plan your visit to Cambridge around an evening show at the Corn Exchange. Everything from comedians to bands to plays are presented at this venue. Shopping: glorious shopping. 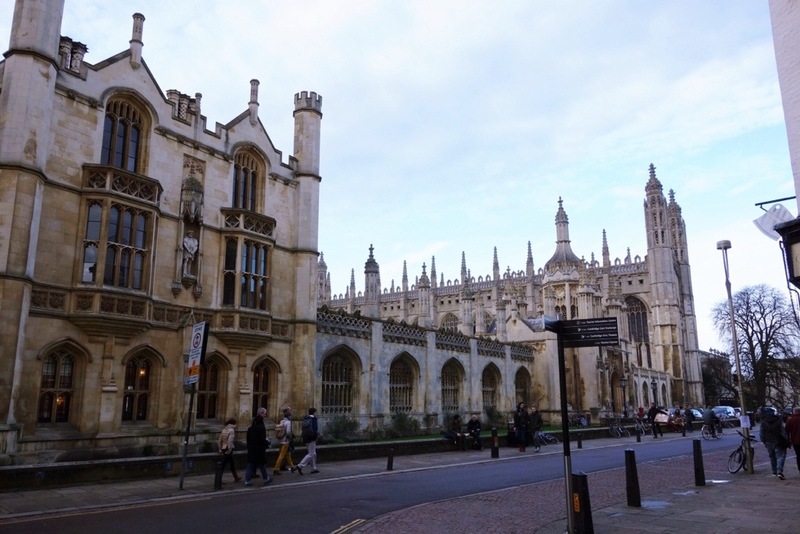 My personal favorite stores like John Lewis, Fopp, Paperchase, Dogfish, Lush, Cath Kidson, Bank, TK Maxx, Next, and so many more can all be found in Cambridge. It’s like shopping in London, only better because you omit the stress and craziness of such a big city. Although, like anywhere, holiday shopping in Cambridge on a weekend can drive anyone bananas. Browse the stalls at one of the markets: Open 10-4 Monday through Saturday, I recommend the Cambridge General Market. Vendors offer a wide variety of goods from fresh fruit, books, music, etc., located, in the square on Market Street and rather hard to miss. 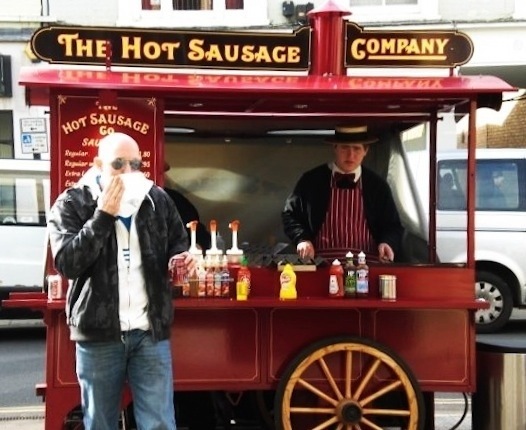 For quick meals on the go: grab a hot sausage from the Hot Sausage Company, a cart usually located on the sidewalk opposite Monsoon & Scribbler stores on Market Street. My fave is the regular sausage with onion relish and chopped onions, with a thin line of mustard on top. If you prefer vegetarian fare: skip just down Market Street to the Taste of Cambridge cart, or what I refer to simply as the falafel cart ((open Wednesday through Saturday, and now some Tuesdays according to their facebook page)). My favorite is the Garden Falafel with regular chickpea falafel, sauced mildly. Such fresh ingredients and a crispy pita that makes me salivate just thinking about it. 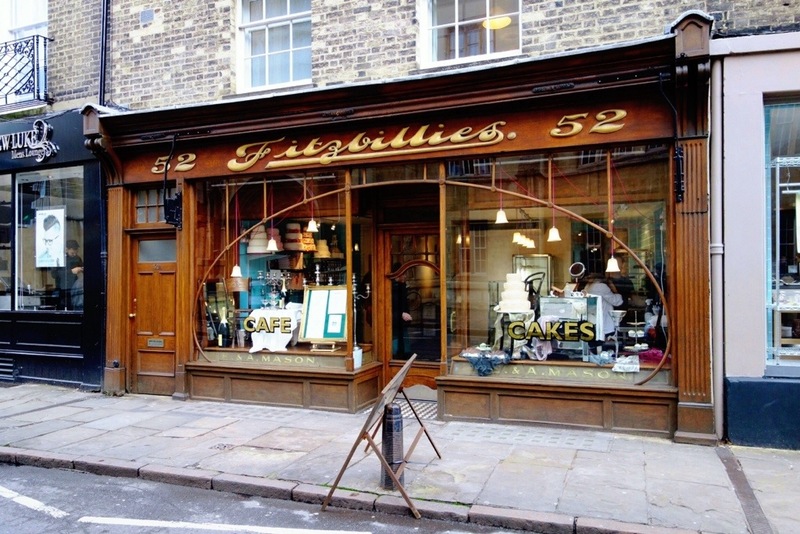 For a sweet treat: head to Fitzbillies on Trumpington for a sticky Chelsea bun, and then thank me later ((as I am still thanking my father-in-law for telling me about this treat)). Oh, and be sure to eat it warm if at all possible. For a sit-down meal: head to Jamie’s Italian ((as in Jamie Oliver)) and order just about anything. I know his restaurants have become somewhat of a chain status in England, but the ambiance and food at the Cambridge location are fabulous. Bikes galore: biking in Cambridge is more popular than cars. You can see dozens of bikes leaned up against every square inch of fencing near the shops and colleges, which makes for a great photo. 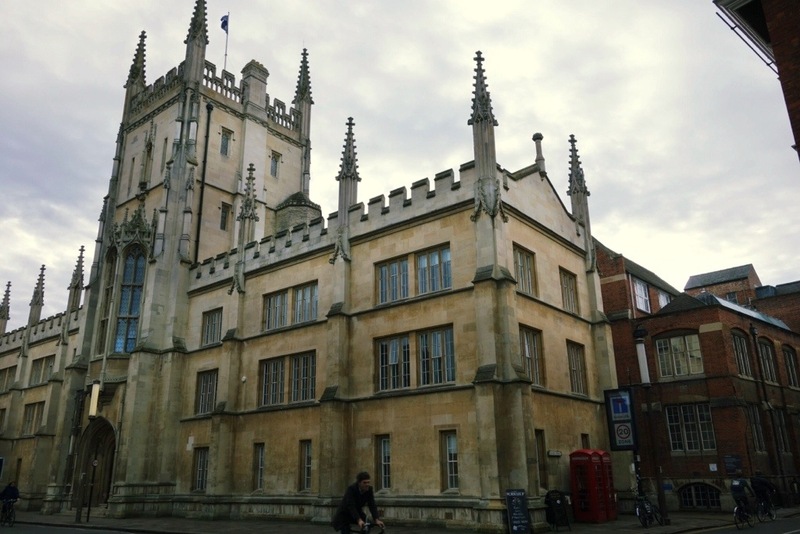 Buildings galore: from Kings College to Trinity Church, there is more than enough architecture to appreciate through your camera lens. I dare you to find a square inch ((or metre!)) of Cambridge that is not photogenic. Explore! Postboxes and phone booths: Maybe they aren’t such a novelty to Britons, but I just love coming across these iconic red structures. 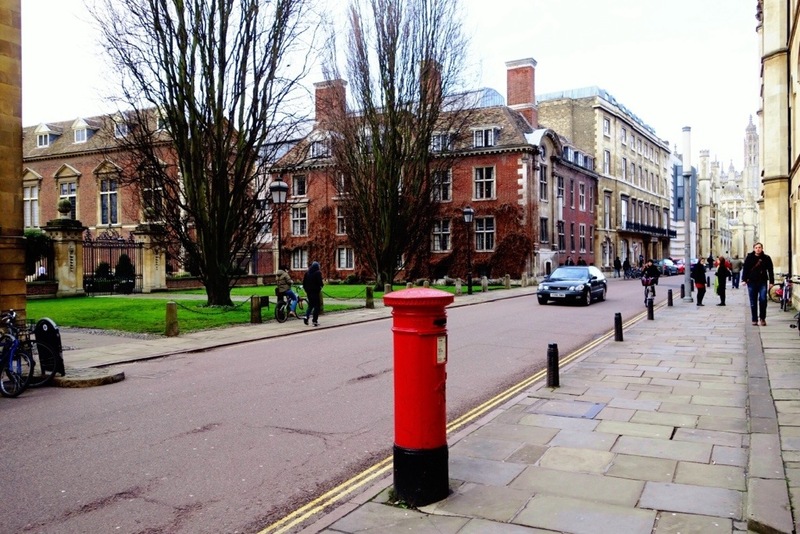 I’ve even spotted side-by-side postboxes from two different reigns of the monarchy. Bridges over the River Cam: you’ll spot seven bridges that cross over the river in Cambridge. One of them, a wooden bridge, was fabled to be designed by Newton, and constructed without the use of nuts and bolts. What is factual, according to history, is the bridge was built originally in 1749 and rebuilt twice while still keeping the original mathematical configuration. And if the weather isn’t cooperating, or simply when all else fails, tuck inside a 16th Century pub and treat yourself to a pint, or three. What is your favorite thing to do in Cambridge?